The case is about recruitment for the post of sub-inspector (fingerprint) in 2018. 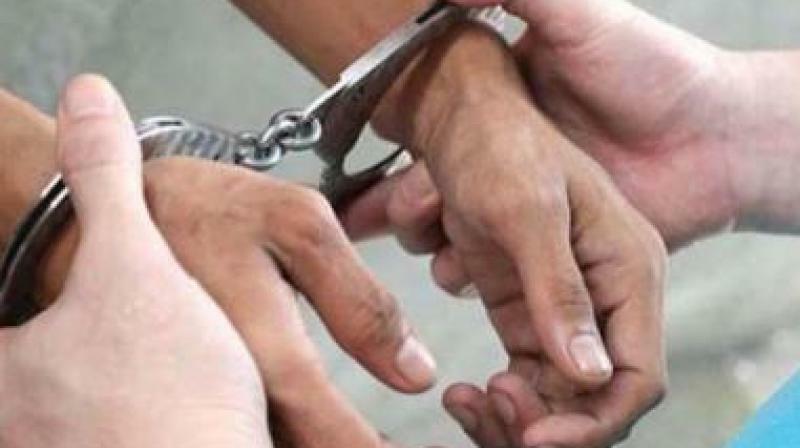 Chennai: A day after the Madras High Court pulled up Tamil Nadu Uniformed Services Recruitment Board (TNUSRB) for submitting a bogus expert opinion in court, the Chennai city crime branch arrested G. V. Kumar for forgery and cheating on Tuesday. The case is about recruitment for the post of sub-inspector (fingerprint) in 2018. S Arunachalam a grade II constable who applied for the post but missed selection by half a mark. He approached the high court alleging that he missed out on the score due to a wrong answer key. TNUSRB officials sought the help of Kumar when the Madras high court asked them to submit an expert opinion from an IIT-Madras professor or a retired professor for rejecting a candidate who applied for a fingerprint bureau sub-inspector post. Kumar hid the fact that Murthy worked as a school teacher and introduced him as retired IIT-M professor Dr D. Murthi and obtained his opinion and gave it to the TNUSRB officials on March 1 last, which was later submitted to the court. Based on the complaint, the CCB officials have registered a case of forgery, forged documents and cheating against G V Kumar and Moorthy. G V Kumar was arrested and remanded to judicial custody.